Thanks to the power of social media, The Hunger Games fans have been able to keep up with Mockingjay Part 2 promotion from all over the world. Most recently, the official Mockingjay UK Twitter account has gathered a lot of attention for its latest Mockingjay ploy: DubSmash. We don’t use DubSmash, but thanks to off-screen Marvel television cast “wars”, we have an idea what the app does. It’s essentially soundboard app with which you record yourself lipsyncing to popular songs or movie quotes. And The Hunger Games is now part of the soundboard. We’re not saying there’s no fun in this. It’s good, silly fun! We partake in silly funs sometimes too! All fandoms have a bit of that, though usually it’s a natural occurrence among fans and not something marketers promote for an action drama franchise. STOP TRYING TO BE DOWN WITH THE KIDS. THE KIDS ARE ALREADY YOUR DAMN PRIMARY AUDIENCE. 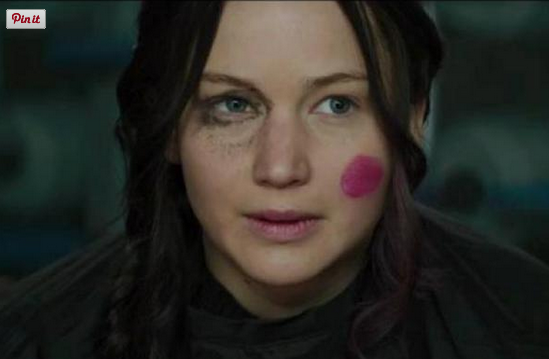 SnapChat and DubSmash: Advertising as legit as a District 13 make-up job! 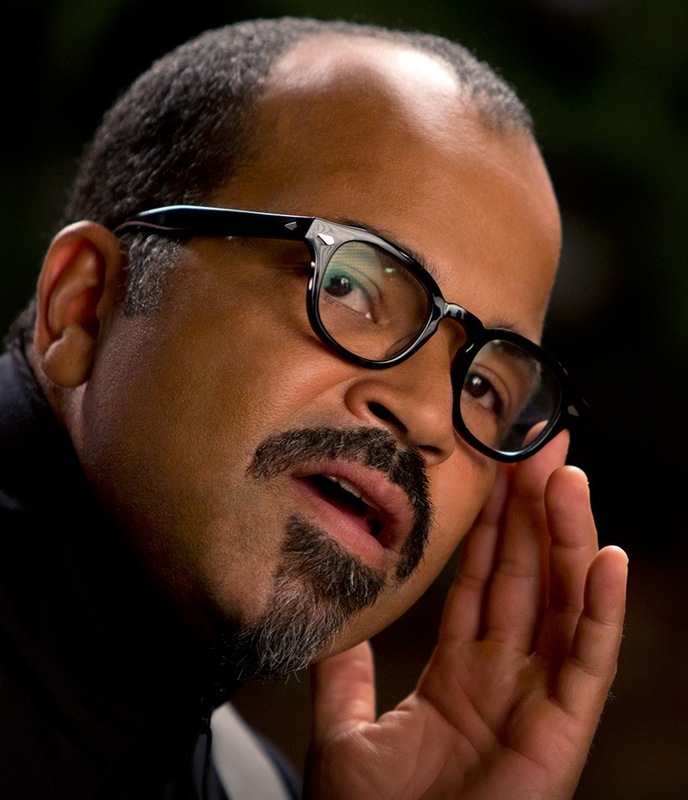 You know who really loves and supports The Hunger Games and has done so all along? Teens and younger 20-somethings. You know who you’re gearing all your advertising dollars toward? The people who will watch the movie and fangirl it without you proving you totes understand their love of smartphones. Sure, it could be argued that the marketers are giving back to the fans. But really, they’re only giving back to a small slice of them. The fansite types we know are all in their mid-twenties or older, and really, we were over all the marketing ploys mentioned above before they even started. Come November, we know pre-teens to the college-aged crowd are pretty much a lock. They have been since around the time Catching Fire. Now, how the heck are you gonna convince everyone else to see the movie? The fact is, marketers need to care about interesting the outliers too, because a truly successful movie needs to attract a really wide audience. If you’re narrowing your advertising down to impress only a portion of the people you’ve already impressed, how does that help the film? How does they convince the hesitant adult to gather up some interest in the series? We just ask, THG marketers— lovingly, kindly– that you have your fun, but also grow up a bit. We’re kidults at best. Just get on our level! Time keeps marching on and still no news on the Mockingjay Part 2 front. None. At all. If you’d like to hear me and some of our friends at Jabberjays.net be baffled by this, you can listen to the latest Jabbercast, “Age of Ranting.” Laugh, cry, get angry, laugh some more. It’s therapeutic. 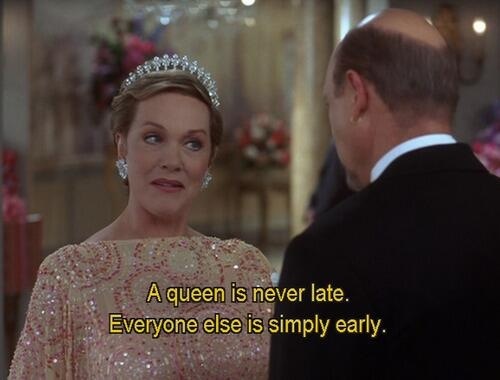 Well, tonight, Jennifer Lawrence is co-hosting the Met Gala in NYC. ($25,000 a ticket). Here she is in some fabulous Capitol Couture (er- Dior). Elizabeth Banks was there too, being on-point with the fashion herself. Yay, more pretty pictures! Last night at CinemaCon, Francis Lawrence gave a couple quick interviews to Collider and MTV about Mockingjay Part 2. There’s some nice tidbits about the upcoming Epilogue filming, the current cut of the film’s length, and his plans to attend the Hunger Games Exhibition opening and Comic Con. That’s some good stuff to get fans excited for this summer. When asked about when we would see the first footage from Part 2 he said he didn’t know (because honestly he doesn’t control the timing of these releases). He also said that fans should “practice patience” because it hasn’t been that long since Part 1 came out. We totally understand Francis being annoyed about fans harassing him on Twitter about a trailer because as he said, while he has input into the creation of the trailer, he does not control the release of them. Or other facets of the movie’s marketing plan. So stop bugging him (and Nina) about those things, please. But the thing about being patient for teases of the movie… sorry, but NO. NO WE DO NOT ACCEPT. WE ARE PROUDLY IMPATIENT. And we don’t think anyone involved in the movies should want us to become more patient. Listen, die-hard fans WANT news and teases of the thing they love. It’s normal. IT’S A PART OF OUR DNA AS HUGE FANS. It’s what differentiates huge fans from casual fans who just watch the movies but don’t really pay attention to trailers or other things along the way. The day we become patient is the day Lionsgate should get seriously concerned. Because casual fans show up whenever and once. We show up first and often. We talk repeatedly about what we love and drag our friends and family along. We get hyped and make it contagious. 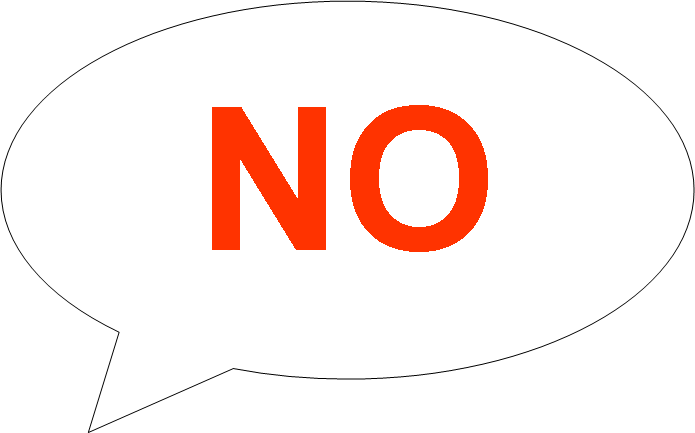 It’s the end of April and within the context of movie marketing, we are not unreasonable to expect some things now. Stills, a new poster, a teaser trailer. Yes, these are all reasonable things to expect. The Hunger Games movies are huge – they deserve blockbuster-level hype and attention. If blockbusters such as Star Wars (opening Dec 2015) and Batman v Superman (Opening March 2016) can release stills and teasers already, yes, we’re going to expect the same for Mockingjay Part 2 now. We see you at this level. YOU CAN DELIVER TO THIS LEVEL. As fans, we do our part by getting excited when STUFF IS RELEASED. The day we sit patiently for it is the day we stop caring for it to come at all. Don’t play that game of chicken with us. We certainly don’t want to play. We just want to enjoy all we can of the time that’s left. The absence of information opens the door to all sorts of rumor and doubt. For months, we lived with the rumor that a Mockingjay Part 1 teaser trailer would premiere at the MTV Movie Awards (mainly just based on Catching Fire’s promotional schedule, but the fact that the movie’s Brazilian film distributor posted this as well didn’t help things). Just as soon as the MTV Movie Awards were over and… nothing was shown, a new teaser trailer date rumor came to life. It’s going to be played at Cannes! Cannes! Because of a Variety article from January says that Lionsgate will promote Mockingjay at Cannes! And then yesterday a twitter account that reports Cannes Film Festival news caused a huge stir by saying that a Mockingjay teaser trailer was CONFIRMED to be shown at Cannes. What’s that? Something actually might happen soon? The fandom rejoices, even if it’s still a month away. It’s something where there once was NOTHING. And then like an hour later, all that joy was again taken away. Because I suppose this rumor went wide enough for Lionsgate to take the trouble of denying it. So, as per the Lionsgate NO MOCKINGJAY PART 1 TEASER TRAILER AT CANNES. On a positive note, we know definitively and we don’t have to live with a month of people getting excited for something that won’t happen. But on a negative note, the lack of any news, the rollercoaster of rumor, and the general delay in any promotion when compared to last year is taking its toll on the fandom. Where there was just once impatience and excitement, there is now annoyance and resentment. I guess this is what Lionsgate thinks? One does not invest hundreds of millions of dollars into making a movie without also having a very detailed, scheduled plan to promote it. For whatever reason, Lionsgate has made the start date later this year. Whether it’s other priorities or contractual obligations holding them back we’ll probably never know. I don’t buy the argument that the start was delayed because Francis Lawrence needed more time to work on the teaser trailer. Or at least, that’s a total cop out excuse. Even if a teaser trailer wasn’t ready there are lots of other things that could be done to build excitement for the film – release movie stills or posters, or at the very least run some teasing posts on your social sites. No, there’s some other reason at play here. But as a fan, it’s absolutely no fun. My bosses like to use baseball analogies a lot in regards to marketing. I’ve been told that if you bat .300 for the season you’re an All Star. If you bat .300 for a career, you make the Hall of Fame. For Mockingjay Part 1, the batting average is zero because Lionsgate won’t step up to the plate and play. But baseball isn’t really my thing. I prefer the Frozen analogy here. Mockingjay is young Elsa locked up in her room and we’re Anna and really want to build a snowman. Stop telling us no. We just want to play. 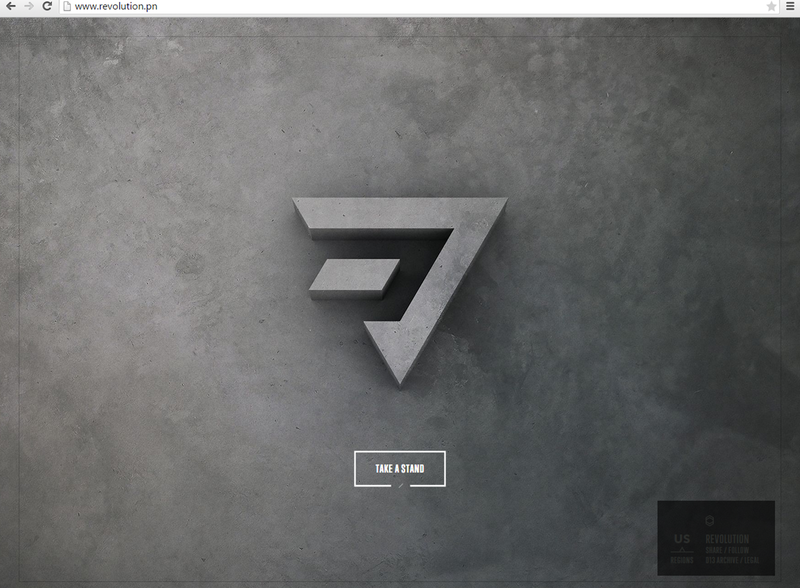 Let’s be honest again, ’cause it’s kind of a forte here anyway– we really need some freakin’ Mockingjay: Part 1 news! And I don’t mean a blurb in some entertainment news publication that’s a reiteration of information we got snip-its of several months ago. Nope, we need honest to god NEWS. In a better world, in other words in a world where as a collective fandom we had the power to convince a major motion picture studio to release such wonderous news-y bits, I think we’d have them by now. Alas we do not have that power despite the size of our collective community. Until such news-y bits are released however, bear with me for a time or two, and well– let me spin a yarn on what this particular non-professional-semi-marketing-savvy fandom member wishes were some of the bits to be released, well– yesterday. And by “particular fandom member”, eh-hem– I MEAN ME. Use the propos: It’s already built into the canon of the series, and it’s– to be sort of blunt, an already solid, and climatically perfect feature. In my mind’s eye, which is kind of a visual place to begin with as a photographer, the propos Suzanne Collins envisioned in her book work on many, many levels. They’re transformative, they’re a call to arms, they’re a rallying cry to the little people, and they’re visually stunning. I can see it now, Jennifer Lawrence as Katniss Everdeen standing on that roof top, a smoking and burning cityscape behind her, her face set in look of anger, fortitude, and conviction, speaking words that come from her inner most gutteral instincts– throwing down the gauntlet on President Snow, and transforming for the first time under her own terms, into the Mockingjay. Or, things could go another direction: The first attempt at a propos with Katniss was a monumental failure. I’m sure you all remember the telling line that Haymitch uttered, his first in the entire novel of Mockingjay, “And that, my friends, is how a revolution dies.” However, from a cinematic POV that propo could very well work. It’s got the swirling flames, the Capitol look, the lines– however stiffly delivered, but if you saw that on TV, or at least clips of it artfully cut together, I think it would work as a more than decent facet of a viral marketing campaign. Other propos, or bursts that get pushed past the Capitol’s firewalls, in my head can all become major aspects of the upcoming advertizing campaigns that will eventually make their way to us. I can see it unfolding, flashes of wartime news footage, footage that looks like it could have been taken at any time during our own world’s most recent political, and wartime events– only this footage will feature burning Capitol flags, and Peacekeepers in their white, exoskeleton riot gear, pushing, and beating District citizens down, and out-of-the-way. Of course this could all be intermixed with scenes of Katniss in the bowels of District 13 curled into a ball with boxes of school supplies behind her, and smash cutting from her mind’s eye to the last time she saw Peeta, to another smash cut of what she imagines is happening to Peeta in the Capitol. It could prove to be a visually stunning, and visceral experience– which is kind of what we want, hm? No more games, no more pretty about it, just raw, unadulterated PTSD, grey clothes, and snap-shots of a mind that’s not quite on an even keel. It won’t happen this way of course, but a True Detective loving girl can dream– right? Not ALL of you, of course. But some of us like to see things. To create issues what no real issues exist. Case in point: The Mockingjay/ Divergent marketing “scandal”. As you may remember, Lionsgate ate merged with Summit Entertainment recently. Given this, many of their marketing efforts are intertwined. Lionsgate owns The Hunger Games and Summit owns Divergent. So far in their partnership, the merge hasn’t blatantly meant any unprecedented delays in marketing, but someone out in the Internet whispered (probably on the cesspool that is tumblr) “There hasn’t been much Mockingjay Part 1 promotion yet because of Divergent’s promotion.” And just like that, complaints and worries took off. You gotta calm down there, Chuck. 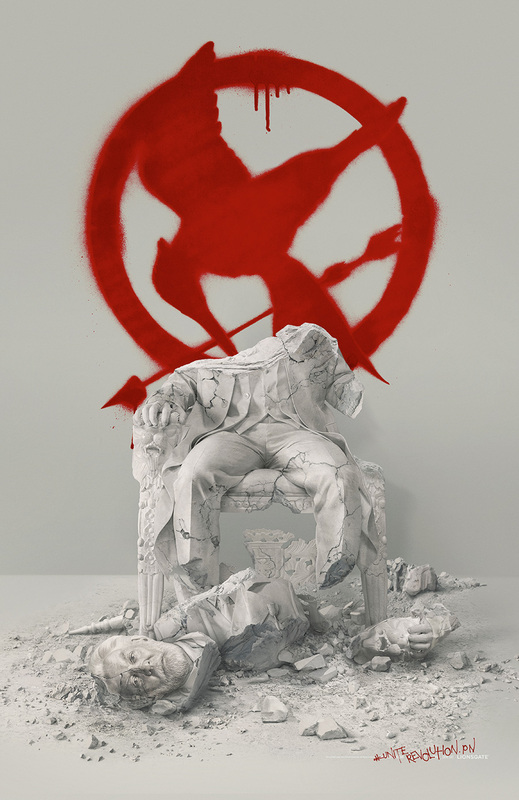 Yes, at this time last year, we had the new poster reveal and a couple images of Victory Tour promo featuring Katniss and Peeta. Contrary to popular internet belief, we did NOT have the Capitol Portraits yet. Those came in March. So really, we’re on par for what we had for Catching Fire at this time last year. Yet everyone’s looking to another YA movie to blame for that. HUH? First off, we forget that Mockingjay Part II is still being filmed and the studio could very well be waiting until the focus is off filming before they worry about promotion for Part 1. It’s going to make a killing at the box office either way. Even so, The Hunger Games and Divergent are still marketed by two different teams, so it’s not as if promotion for one negates the other. Lionsgate and Summit marketing have been known to work together in the past, not cockblock each other. And frankly, there’s no way in hell anything happening in November is going to affect a movie coming out in March. If people want to see Divergent, they’ll go see it regardless of whether or not Mockingjay character portraits show up in the meantime. Secondly, can’t YA fandoms all just get along? YA fandoms like to get elitist, judge each other, and in this case, blame each other for their problems. 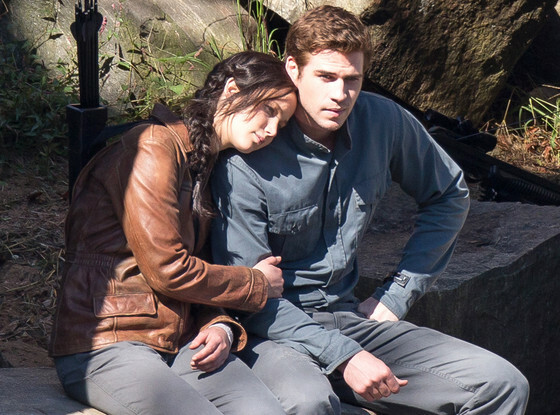 Hunger Games fans want more stuff and they’re not getting it, so they look to blame Divergent. There’s already so many people out there trying to discredit and undermine the young adult adaptations out there (including the ones that will forever hate on The Hunger Games, even if it won all the awards) that we should support each other instead of running around hating on each other. Capice? We’ll be back soon, lovelies! In the meantime, check out Uli’s fabulous analysis of the Catching Fire marketing! The triad of Josh, Jen and Liam blazing their way through red carpets all around the world can only mean one thing. The day we’ve all been eagerly waiting for is finally upon us. Who would have thought that a year ago, huh? 500+ days of a countdown sure don’t pass by all too quickly, but Lionsgate did their best to keep us all on our toes and excited throughout. And with the movie now being shown to not only media representatives but the general public as well, I thought it time to do a little recap of how well the marketing machinery of Lionsgate worked this time around. Did #TheSpark spark fan interest? After months and months of watching The Hunger Games multiple times to pass time, something was finally happening. #TheSpark was sent flying to ignite all those Tributes in hibernation and get them excited for the second installment of the franchise. And ignite it did. First, stills from the movie were being revealed that, again, had to be unlocked by fans through tweeting a certain hashtag. It felt almost like we were back in the days of “The Hunger Games” marketing campaign when all was about tweeting, revealing and unlocking. But for “Catching Fire” it stopped suddenly and instead of being a part, becoming a part of #TheSpark, we were asked to stand aside and watch. And wait. Wait until Lionsgate decided it was time to reveal something new. The whole “Tick Tock” concept was all about tweeting and joining to win, not tweeting and joining to unlock. And that, in general, reflected what a grand part of the Catching Fire marketing campaign was about. My recollection of the whole campaign might not be detailed, but I sure remember the overall feeling I’ve gotten from it was us, the fans, were being degraded to viewers as opposed to the players we all had been throughout The Hunger Games campaign leading up to the movie. We “played” to unlock TheCapitol.pn site, played to unlock our DIPs, played to puzzle together the first official movie poster. Everyone had a part in it. And this time around, especially with all give aways or competitions being restricted to only the US and Canada, most of those players were forced to sit down and watch as the game went on without them. And I, personally, found that saddening. 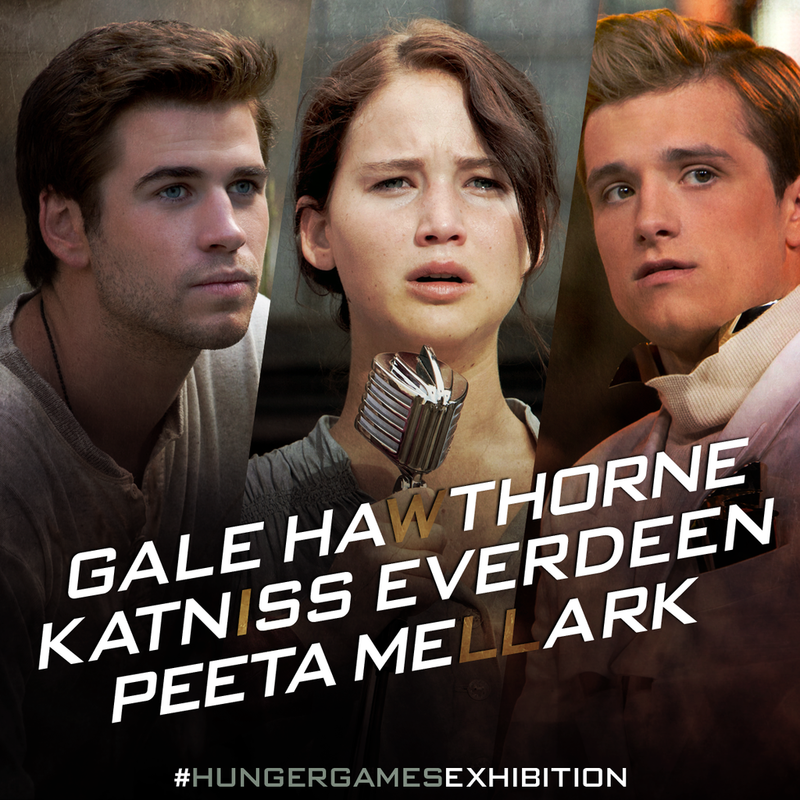 It’s more exciting being a part than watching (except, of course, when we’re talking about the Hunger Games. The actual ones). 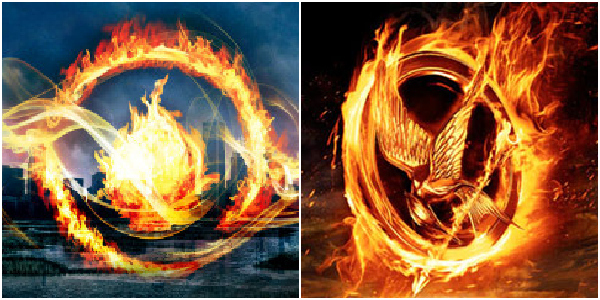 Now, I am not saying that Lionsgate didn’t do a good job. It was solid, just enough to keep the level of excitement boiling. 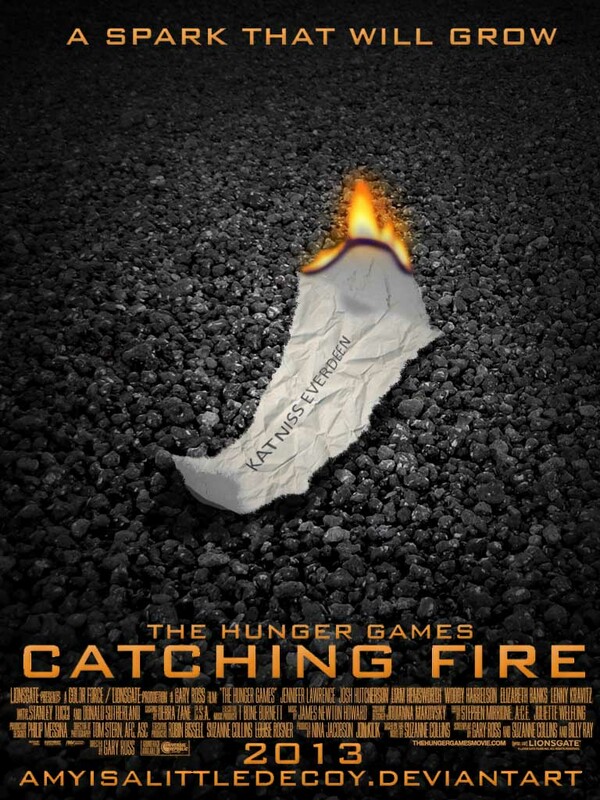 But Catching Fire’s marketing campaign was just missing that little extra that would have taken #TheSpark from its initial, big-enough-to-make-smores campfire to a full-blown wildfire like the one Katniss is escaping from in the first book. Something engaging and captivating the fans, allowing them to become a part of Panem rather than just citizens of the Capitol. Net-a-Porter anyone?